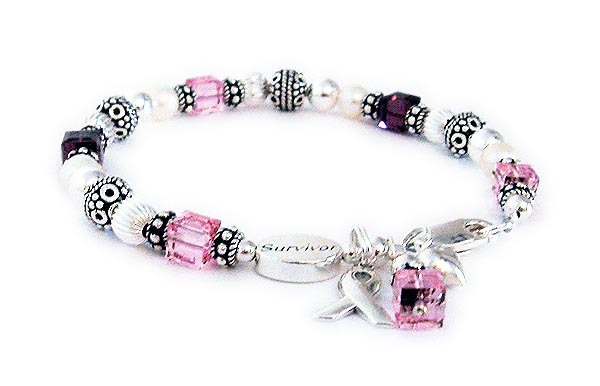 Sterling Silver large SURVIVOR bead, IN MEMORY bead, HOPE bead and COURAGE message beads. You can buy them individually or you can add them to any bracelet on this website. Each order page has the option to add one of these beads. 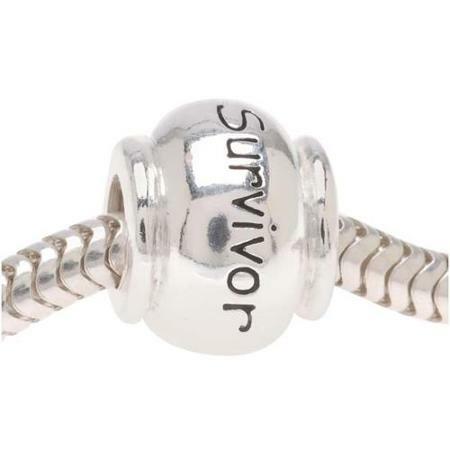 This Large Bulky SURVIVOR Bead for a Pandora® style bracelet or necklace. This is available on some of our larger deisgns. If you don't see the option listed on the website please contact me, before, during or immediately after your order. I can put the SUVIVOR bead on any of my bracelets. It is shown on the CBBR25 with 2 cancer colors. I can put an IN MEMORY BEAD on any bracelet. 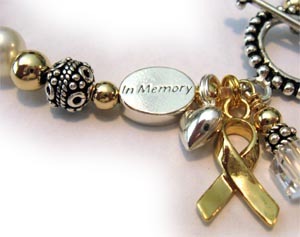 The IN MEMORY bead option is available an almost all of my bracelets. It is shown here on the Ribbon 26.